With Mary gone and the boys having to deal with the repercussions of her departure, they get right back to the hunt with a case. The attempts to bury themselves in work provided them with some old school connections and some twists thrown in for good measure. And we got a couple of undercover wardrobe changes as well. 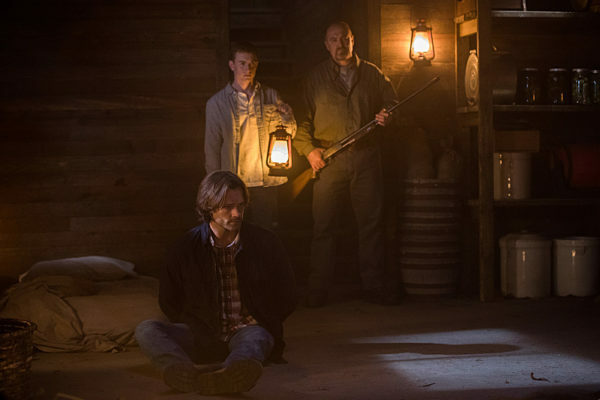 Therapy, Winchester style. First off, let’s focus on some petty reveling. I really like when the boys play dress-up, especially when they’re priests. It’s been so long! And not only did they go through one undercover identity, but three, although one was the typical FBI attire. Clerical collars and suits and comfy sweaters, oh my! I miss when the boys would go through the different outfits on a hunt. 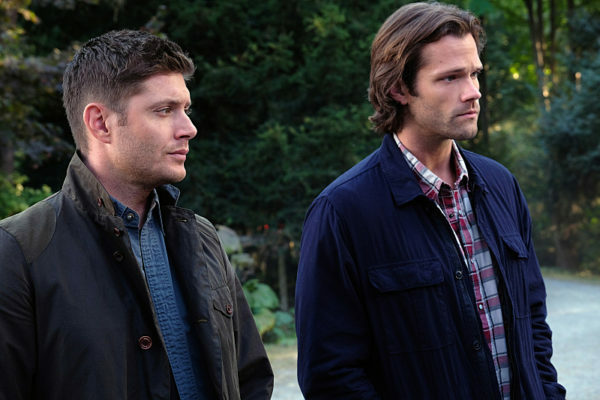 Somewhere, Dean still has the ranger uniform “just in case.” I like when they explore other identities. I was hopeful that, with the callbacks to the special children, that maybe Sam’s powers would be returning. Alas, it was not to be. Instead, he met another gifted young girl and tried to help her deal with her plight. While it was touching, I still miss powered-up Sammy. He has shown that he can create much destruction or do overall good deeds if he puts his mind to it. And Ruby even said the could utilize them without the feather of perceived powering-up, so theoretically he could still whip them out if he so desired. But, no, he’s still not able to put them into practice. Oh well. At least he got really jazzed up over what he thought was a daughter’s death and her mother’s apparent disregard for what happened. The case was a good intertwining of religious control and powers. I really liked the use of the stigmata, and the fact that there was more to this than meets the eye. What at first looked like a weird family who has turned their backs on society and should be condemned for it was actually a group of people who were doing what they thought was right, some out of love and some out of twisted blame. But the deaths that happened as a result of Magda’s isolation were not done out of malice, but instead out of a need to seek out a connection. Magda has been so brainwashed by her mother that she thinks she is really evil for the acts she’s caused, both the deaths and her mother’s accident. I liked that the reasons behind the family’s disconnection from the world, the changes that they went through and the accident and everything, were all well-connected and made sense in the larger scope. And I liked that Dean is still working through Mary’s departure and trying to reach out to her, despite feeling betrayed. 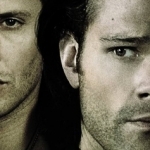 Abandonment and Dean Winchester are well-acquainted. 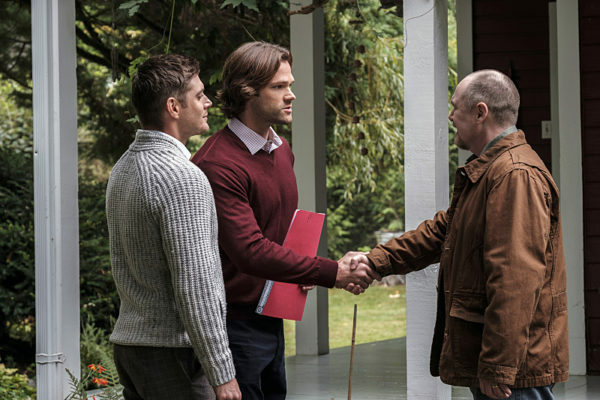 Kudos to Sammy for attempting to help Dean work through it. 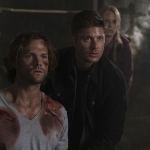 Pushing down the hurt and trying to avoid the issue, like Dean tends to do, is not healthy and will not allow him to work through the real issues at play. It took him a while, but Dean finally gets that time away from them doesn’t mean Mary doesn’t love them. She will return when she’s ready, but until then she’ll keep in touch from afar. Her message to Dean showed that. They can be a family again, but right now they just need to let Mary find her place in the world. At least they know about Vince now, though they both seemed to know him by reputation before the whole Lucifer possession thing. I loved that Sam was a hidden fan, much to Dean’s displeasure. I’m not sure if Lucifer is out of that vessel now or if he will use his previously-seen power to restore Vince to his former self. We can use Rick Springfield for a couple more eps, right? But the Winchesters don’t yet know about Mr. Ketch, and that’s going to be an interesting discovery indeed. They think Lucifer’s going to be their big bad to deal with, but Mr. Ketch is going around cleaning up their messes by killing those that they saved. Oh, boys, your lives are never simple.